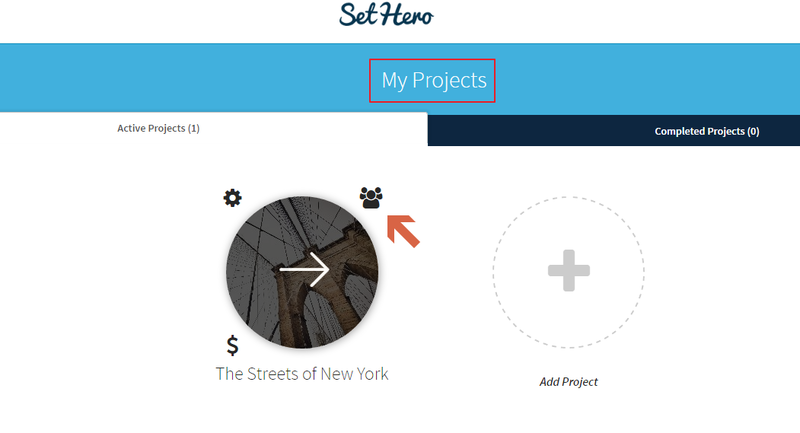 To share a project go to the My Projects screen. (This is the first screen you see when you log in.) 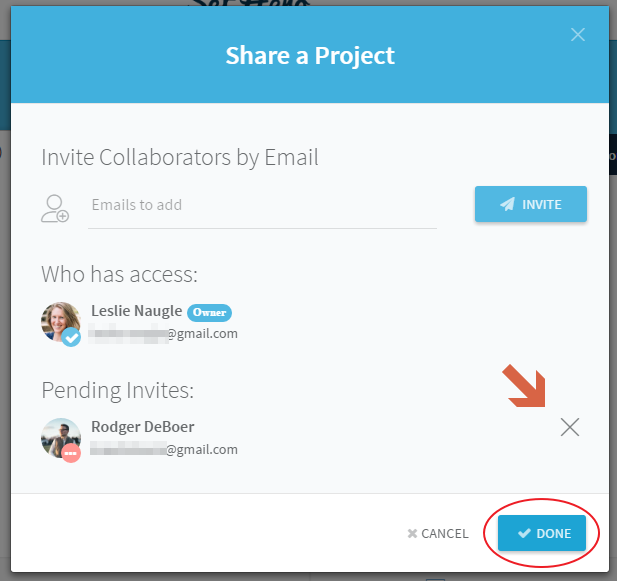 Hover over the project icon of the project you would like to share and select the "Sharing" icon that appears in the top right hand corner of that project. Note: You can share both active and completed projects. 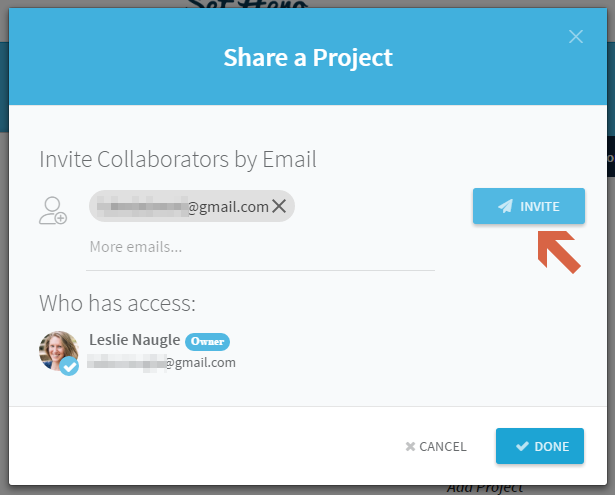 Enter the e-mail address of the person you'd like to share the project with. You can add multiple e-mail addresses at one time by separating them with a comma or space. Once you've added all of the e-mail addresses you need click "Invite." At this point you should see the "Success!" message. Your invitees will recive an e-mail notifying them that a SetHero project has been shared with them. If the people you shared the project with are not current SetHero users they will be invited to create their own user account. 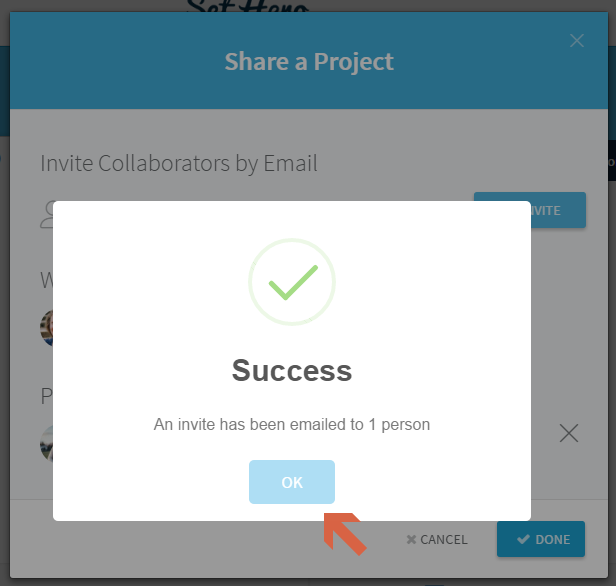 Once they create an account the shared project will appear on their projects screen. Once you have sent the invite and/or your invitees have accepted the request they will appear under who has access. To remove someone's access simple click the X next to their name in the access list. When you've finished updating your sharing click "Done" to close the sharing dialog box.